SOUR TANG HAS MOVED TO: THEKELLYTANG.COM: Saturday Alreaday?!? Thank you so much Ashley for this wonderful award, this is my third award, and I'm so happy to receive it! 1. Thank the person that gave you award. 2. 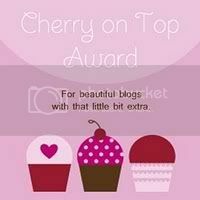 Copy the award and put it on the blog. 3. List 3 things you love about yourself. 1. I'm motivated and passionate about life. And I try my hardest to work towards my goals and accomplish things. 2. I'm a really loyal person in friendship, in love, in dreams, in beliefs. So if we ever become friends, I'm seriously a friend until the end, but if someone doesn't value my friendship or me the same way I value them, I tend to step away. 3. My willingness or ability to change. If I feel like I have a problem, or if a situation makes me unhappy I find a way to change it. Or if I do something that hurts myself I have the ability to change it too. 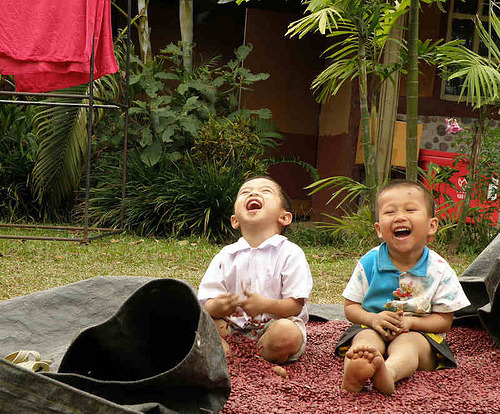 Just some random adorable kids playing, and laughing, I found it online a while ago. 5. Heavy Words. Lightly Thrown. Thanks for stopping by my blog! Yours is great and I'm following. I love that picture of kids playing. So carefree... congrats on the award! ps your purse in your last post is amazing i really love it♥! Aww that's such a cute picture. I won a pair of white Ray Bans just recently too! So I won't enter the giveaway...that'll just be cruel if I won again! we're the same! i love that i get passionate about what i'm doing and always strive to be at my best! congrats! love your blog! thank you for stopping by mine :} hope you'll keep visiting and become one of my lovely followers!! Thanks so much Kelly!! I heart your blog too, you totally deserve it! The playing kids are so adorable, they made me smile. Ugh, I've heard horror stories of wisdom teeth removal and am praying that I don't have to get mine taken out ever. Hope you're feeling well! And, I love your #3 thing. I am not so adaptable, although I wish it was, because it's a VERY handy trait to have on your side. I hate change, but sometimes it's necessary! Congrats on the award, That photo you chose is lovely! Thank you for stopping by my blog, I am following you right back on bloglovin!